What is a Termite ? Termites are related to cockroaches, yet show a social behavior similar to that of ants and bees. Their food is mainly the wood of trees and the woody tissues of other plants, In their natural habitats, they convert dead wood into humus that enriches the soil, But when they encounter timber utilized by man, termites are a potential threat. If the wood is untreated, and has no natural resistance to termite attack, the insects will destroy the timber, reducing it to humus and causing serious damage to property and amenity. Termites have been found in every state in the US with the exception of Alaska. The important behavioral feature of termites which separates them from most other insects is that many individuals live together in a communal nest; they help one another in a way which superficially resembles they way people live and work together. We therefore call the termites â€œsocialâ€ insects. Some individuals in the termite nest, in fact, are entirely dependent on others and would soon die is not fed or otherwise cared for. Termites are almost unique among insects, and indeed among all the lower animals, in having a male which assists the female with initial nest building, and where the two sexes stay together for their entire lives. A mature queen in a colony can lay thousands of eggs each year, helping the colony (and its destruction to your home) grow exponentially. She can also live up to 10 years. There are more than 2000 species of termites in the world. For most practical purposes they can be grouped into three main categories: â€œsubterraneanâ€, â€œdamp woodâ€ and â€œdry woodâ€. Subterranean termites are those which build their nests in the soil or on the sides of trees or transmission poles and rely principally on the soil for moisture. In their search for food above ground they construct covered runways of â€œshelter tubesâ€ because they are prone to desiccation when exposed to the air. Damp wood termites live in old tree stumps, rotting logs and pieces of buried timber (either structural or waste left by the builders). Once established however, they can move into sound wood in the structure of the building. Dry wood termites live entirely within dry wood and unlike the other groups are less dependent on an external source of moisture. Because of this, they are able to survive above ground in most timbers and do not need access to the soil. The natural food of termites is cellulose, the major component of the cell walls of trees and other plantsâ€¦ When trees die and fall to the forest floor, nutrients required for re growth of the forest remain locked inside the cellulose cell walls until they are broken down by insects and fungi. There is now often an unavoidable clash of interests between man and termites: so much dependence has been placed on timber that we do not wish to change completely to other forms of building material. In fact timber has many advantages over other materials: for example, it is easy to cut and shape, it has great strength for its weight and size, and it is aesthetically pleasing to look at and to touch. Furthermore, in less well developed countries, timber may be the only material available for building purposes. Termites may attack timber anywhere in a building from below floor level to the highest point in the roof. The workers of most subterranean species enter from the soil, either directly into timber, through cracks in concrete flooring or by construction shelter tubes over brick or concrete footers and walls. Dry wood termite workers simply forage directly into wood adjacent to their nests. Most emphasis in discussion of termite damage is given to attacks on timber and wood-based products, and undoubtedly this is where the largest economic losses occur. However, other materials are frequently damaged and losses are sometimes substantial. Underground cables are at considerable risk in termite infested areas. Rubber and plastic coverings may be stripped to the conducting wires, resulting in water penetration and short circuits. In some cases, even lead sheathing 2 mm thick may be punctured. Above ground cables may also be attacked by termites, usually when the cable is fastened to infested timber. Domestic cable radio and TV is becoming widespread and therefore damage to associated transmission lines is increasing. Various metals and plastics, concrete and plaster, leather, rubber and linoleum have reportedly been damaged by termites, and clearly anything softer than the insect mandibles can be perforated. Because of the decline in the world stock of quality timber, it makes sense to protect wood in use from the ravages of termites. This will be cheaper than buying new timber for replacement, and in years to come it may be the only way to retain the use of timber as a building material. 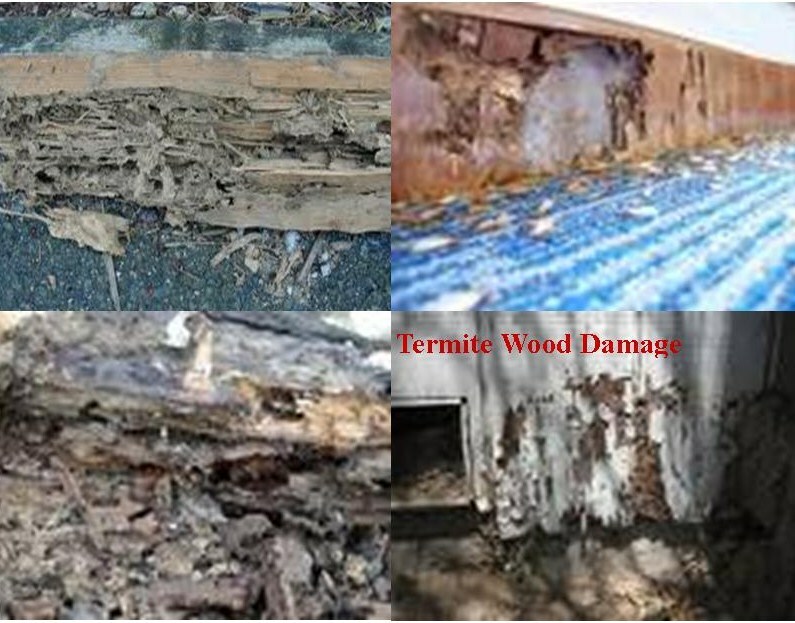 At present there is no legislation to force home owners to have their property treated, however, people have been taught to look for termites and signs of damage, and this awareness of the problem means that treatment can often be carried out before extensive damage occurs. 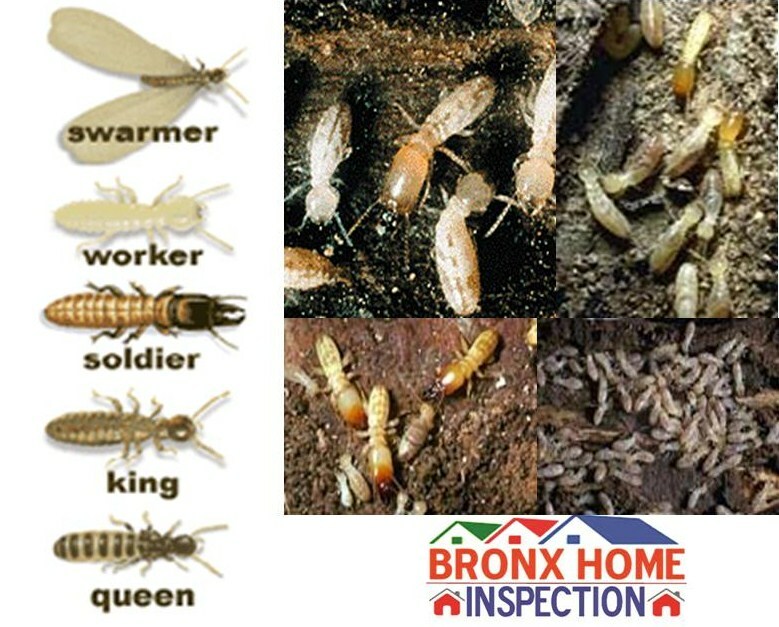 Proper identification of termites is important when deciding on the control methods to be used. It is necessary to determine whether the termites are subterranean, damp wood or dry wood. Other wood destroying insects include powder post beetles, old house borers, dry wood swarmer, and subterranean swarmers. Termites cause billions of dollars in damage each year. They primarily feed on wood, but also damage paper, books, insulation, and even swimming pool liners and filtration systems. Termites can injure living trees and shrubs, but more often are a secondary invader of woody plants already in decline. 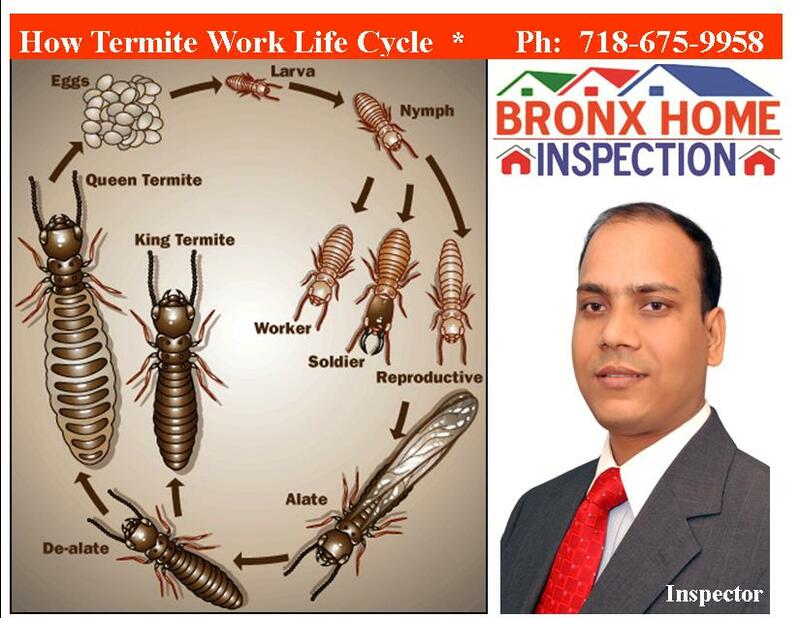 While buildings may become infested at any time, termites are of particular importance when buying or selling a home since a termite inspection/infestation report is normally a condition of sale. Besides the monetary impact, thousands of winged termites emerging inside one's home are an emotionally trying experience Â— not to mention the thought of termites silently feasting on one's largest investment. Why are infestations often discovered during March - May? Spring typically is when large numbers of winged termites, known as "swarmers," emerge inside homes. In nature, termites swarm to disperse and start new colonies. Triggered by warmer temperatures and rainfall, the winged termites emerge from the colony and fly into the air. Winged termites emerging indoors are a sure sign that the building is infested. The swarmers then drop to the ground, shed their wings, pair off with a mate, and attempt to begin new colonies in the soil. Few swarmers emerging outdoors survive to start new colonies. Swarmers emerging indoors are incapable of eating wood, seldom survive, and are best removed with a vacuum. They do, however, indicate that an infestation is present. The swarmers are attracted to light and are often seen around windows and doors. Termite swarmers emerging from tree stumps, woodpiles, and other locations out in the yard are not necessarily cause for concern, and do not necessarily mean that the house is infested. On the other hand, if winged termites are seen emerging from the base of a foundation wall or adjoining porches and patios, there's a good chance the house is infested also and treatment may be warranted. If a tube happens to be vacant, it does not necessarily mean that the infestation is inactive; termites often abandon sections of tube while foraging elsewhere in the structure. Termite-damaged wood is usually hollowed out along the grain, with bits of dried mud or soil lining the feeding galleries. Wood damaged by moisture or other types of insects (e.g., carpenter ants) will not have this appearance. Occasionally termites bore tiny holes through plaster or drywall, accompanied by bits of soil around the margin. Rippled or sunken traces behind wall coverings can also be indicative of termites tunneling underneath. Oftentimes there will be no visible indication that the home is infested. Termites are cryptic creatures and infestations can go undetected for years, hidden behind walls, floor coverings, insulation, and other obstructions. Termite feeding and damage can even progress undetected in wood that is exposed because the outer surface is usually left intact. Confirmation of infestation often requires the keen eye of an experienced termite inspector. However, even the most experienced inspector can overlook infestation or damage which is hidden by storage or personal items, or by access restrictions to areas of the structure being inspected.